What a year this has been! There is so much to be thankful for! 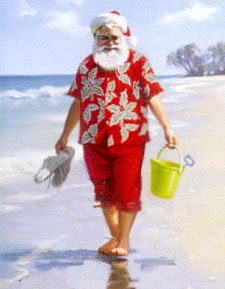 With any luck - this time next year we'll be hanging with THIS Santa! Merry Christmas to all - and may your New Year be filled with love, health and happiness!! What a year indeed! Merry, merry!